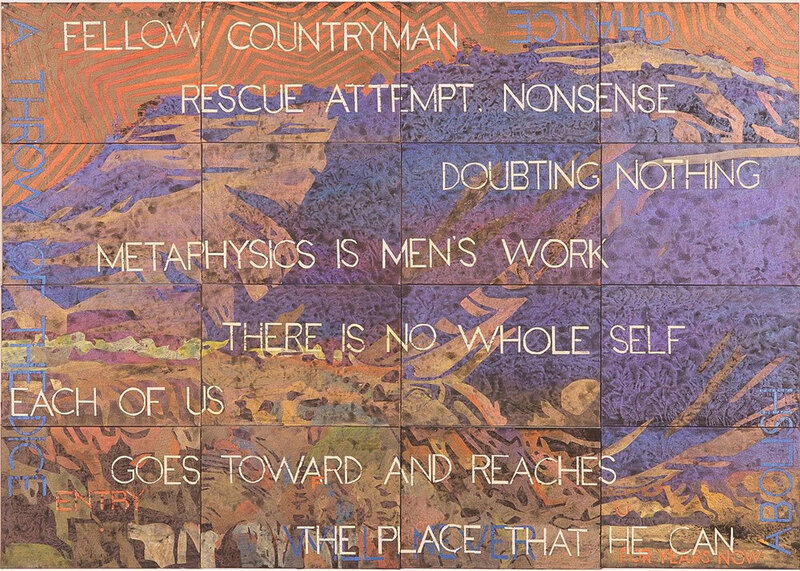 As one of Australia’s most significant artists, Imants Tillers has been at the forefront of contemporary art for over three decades. Since 1981 Tillers has used his signature canvas boards to explore themes relevant to contemporary culture, from the centre/periphery debates of the 1980s, to the effects of migration, displacement and diaspora. Most recently, his paintings have been concerned with place, locality and evocations of the landscape.